Mwamba RFC proceed to the 2018 Floodies Plate finals after beating Nondescripts 25-3 to be played at Impala Club on 20th October, 2018. They will face Kenya Harlequin who beat Nakuru RFC 22-13 in the second semifinal. 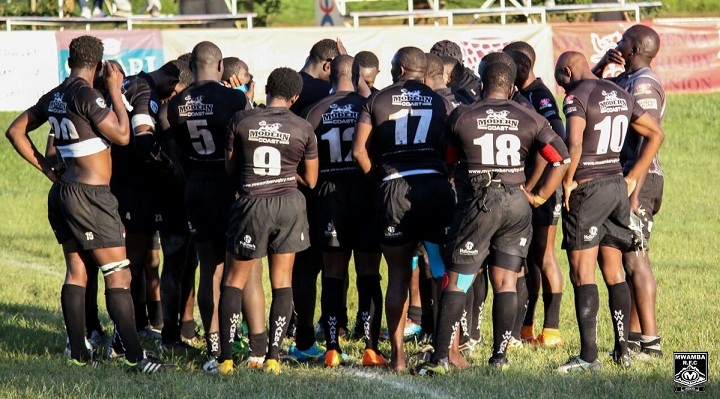 The Mwamba-Nondies game was locked on an even deadlock throughout the first half going and into the break, at 3-3, Martin Juma and Elvis Namusasi gathering the points off the boot. Both teams had a chance to stretch the lead before the break but the kickers would fluff the respective penalties. Mwamba were quick to break the deadlock into the second half with a try from Brian Kivasia, he would later make it a brace with no response from Nondies to take the lead to 18-3. Kenya Sevens's international Collins Injera would sell a dummy and grant Ken Okwado a chance to dent Nondies with a try between the sticks to take the lead to 25-3. Score would remain unchanged through to full time. Brian Beckham put the Quins ahead slotting in a penalty but that would soon be cancelled out when Nakuru's new signing Duncan Abuyeka to level the scores at 3-3. Frank Wanyama broke the jinx on tries and earned Quins a try after Nakuru's lapse on defense at the break down, Beckham added the extras. Things would seemingly get thick for Nakuru as Edward Oseko landed an unconverted try for Quins to take the lead to 15-3. Nakuru's Collins Onyango fielded a successful drop goal to reduce the deficit to 15-6. Nakuru would have further reduced the difference few minutes later but had a try disallowed, that notwithstanding, Edwin Anunda would make up with a converted try to take the scores to 15-13. With Nakuru on the verge of making a comeback, Quins' George Owino would ruin the plot with a converted try to set a 22-13 buffer for his team. The scores would remain unchanged through to full time.